Myrtle Beach, S.C. — Short Par 4, a golf inspired box subscription service that ships hand curated, top quality, branded golf apparel, footwear and accessories directly to golfers, has reached a three-year agreement with Golf Tourism Solutions to be the title sponsor of the Fall Classic, the game’s fastest growing tournament. 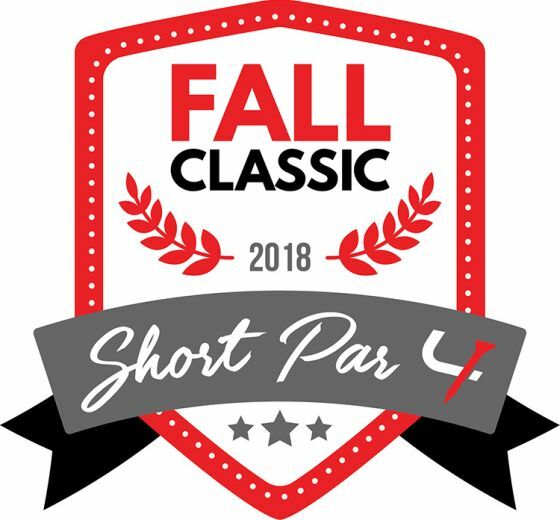 As part of the sponsorship, the Myrtle Beach-based event will now be named the Short Par 4 Fall Classic. The fifth annual event will be played November 11-15 on 16 of Myrtle Beach’s best courses. A 72-hole, two-person team event, the Fall Classic initially planned to cap the field at 360 players but due to demand expanded to 432. Even with the increased field size, the tournament has been sold out for more than a month. As part of its sponsorship, Short Par 4 will provide Fall Classic players with custom branded apparel, including a Greg Norman pullover. Teams will be flighted based on their USGA handicaps and there will be a different format of play each day. The tournament formats will be best ball, Texas scramble, modified alternate shot and a scramble, but the golf course lineup and entry fee of $375 have been the driving forces behind the event’s rapid growth. The courses hosting the four-round event are the Dye and Fazio courses at Barefoot Resort, Farmstead Golf Links, Glen Dornoch, Heritage Club, Leopard’s Chase, Long Bay, Pawleys Plantation, Pine Lakes, Prestwick Country Club, Rivers Edge, Thistle, TPC Myrtle Beach, Tradition, True Blue and World Tour. Tournament festivities will begin with a welcome reception at House of Blues on November 11, an event that will feature free hor d’oeuvres and two free drinks for each person. After four rounds of golf, the event will conclude with an awards dinner at the House of Blues that will includes a buffet dinner, two free drinks per person and live entertainment. For more information, go to MyrtleBeachFallClassic.com. Short Par 4 is a personal stylist for the golf inspired life that delivers brand name golf apparel, accessories and gear directly to its member’s doorstep – each for up to 60% off retail prices. The vision of the company is to provide golf enthusiasts with the highest quality products at member’s only pricing delivered directly to their doorsteps – keeping their style tight and allowing them to spend more time on the course, not in their closet. As the premier styling service for the golf community, Short Par 4 boasts one of the fastest growing memberships of any subscription box on the web. Every month, Short Par 4 delivers exclusive brand name golf apparel and products that promise to make their member’s look handsome both on and off the course. Whether on a date, on the tee box or at the office, Short Par 4’s Style Caddies have their members covered! With a membership for all budget sizes, every box includes top rated and premium golf brands like Under Armour, Nike, Puma and Callaway and burgeoning brands like Travis Mathew, Linksoul, Greyson and more. Each delivery is hand curated according to season and the golfer’s unique style profile that they fill out on the website. Short Par 4 is a dynamic, fast growing, company that will be adding a new level of membership with some of golf’s leading PGA Professionals in the upcoming months. This new box experience will consist of exclusive PGA tour golf apparel, footwear and accessories. Short Par 4 has been thriving since 2014 and has shipped over 500,000 boxes and counting. The company is located in Sarasota, Florida. For more information, please visit https://www.shortpar4.com/.